I wanted to know more about Caroline’s personal story. Visiting her website, I discovered that she has had some really amazing travel adventures. Curious to know how her travels have influenced her writing, I began asking questions. Caroline graciously agreed to not only answer my burning questions, but to share them with you! I hope you enjoy my candid conversation with this truly gifted author. Caroline Starr Rose, take us back to the beginning. I’d love to hear about all the different places you’ve lived and traveled to. My family left Wisconsin when I was three to move to Saudi Arabia, where we lived for three years. While in Saudi we traveled throughout Europe (Greece, Italy, Germany, Spain, and England) and often vacationed in Jordan or along the Red Sea. 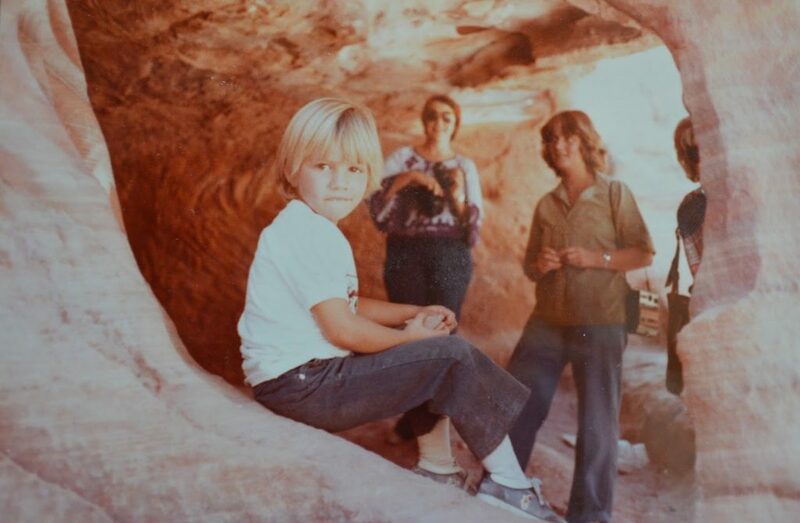 The summer before first grade we headed to Albuquerque, New Mexico. As a teen I spent a couple of summers in Spain and a year on exchange in Australia. My freshman year in college, I attended a small liberal arts school in Arkansas but returned home to New Mexico because I was dating a boy (the boy and I have now been married twenty-one years!). After Dan and I got married and I graduated with a teaching degree, we headed to Florida for seminary. My husband has had pastorates in Virginia, Michigan, Louisiana, and New Mexico, where we are again after fourteen years away. How did your travels as a child shape who you are today? I know the world is much bigger than my limited experience and understanding. It’s bigger than my own life, which I’m so easily wrapped up in. Through my travels I learned respect, open-mindedness, and empathy. Every time I leave home I’m reminded of the humanity that unites us. Yes, our lives are different from people on the other side of the world — and the other side of town — but who we are at the core is remarkably similar. Did you always enjoy writing? How has traveling impacted you as a writer? I did. I loved writing stories and poetry and had tremendous support in the classroom, for which I’ll ever be grateful. As for how my travel has affected my writing, I can point to two experiences that I’ve drawn on again and again. Returning to the United States after my time in Saudi and my year on exchange was bizarre, lonely, and confusing. I was in my own country, and I felt like an outsider. I have used this outsider experience as fodder for my first two novels, May B. and Blue Birds. While May only travels fifteen miles from her Kansas soddy, she is most certainly an outsider as newly hired help to a family she doesn’t know. She also doesn’t fit in at school, where her struggles with reading leave her frustrated and ashamed. 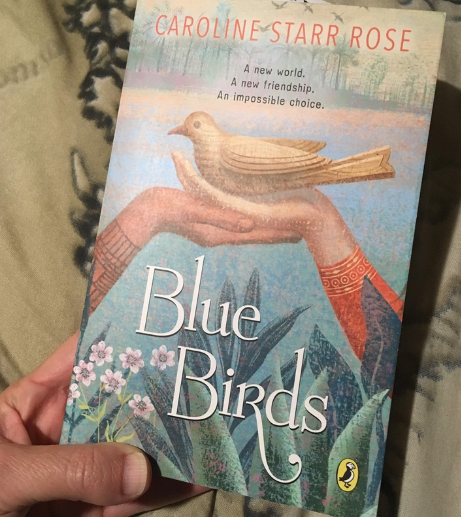 With Blue Birds, I really wanted to play with the idea of the familiar becoming foreign and the foreign becoming familiar, as I had experienced in my own travels. I hope I did this concept justice. As an author of historical fiction, I want readers to see the differences between the past and the present, but ultimately I hope the distant world becomes familiar as they experience it through the eyes of the character they’re following. 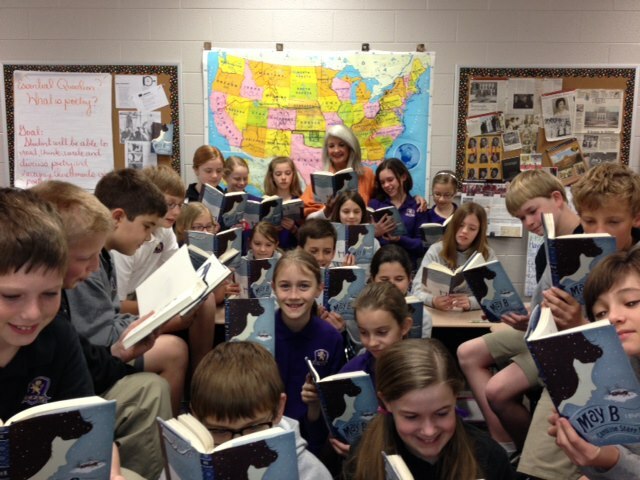 It’s my greatest hope the humanity that unites us will be evident to young readers. At first glance, our life experiences are vastly different from people from the past — but are they really? 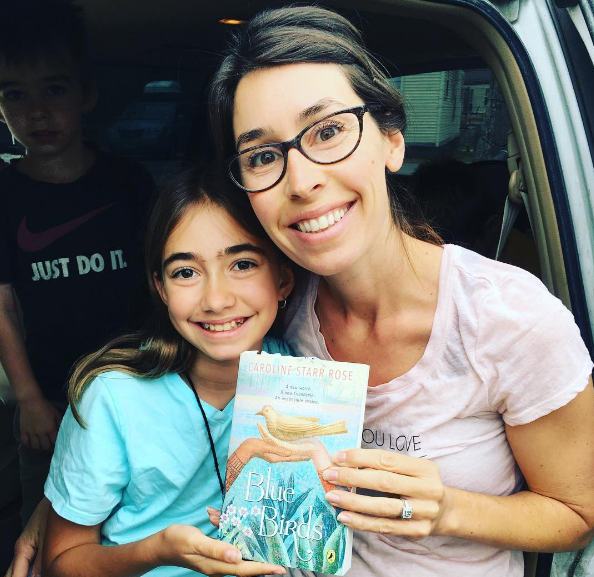 Historical fiction provides a unique opportunity to offer young readers a bigger world, just as travel does. You have two boys. What are their ages and do they enjoy reading and/or writing? How have you encouraged/fostered this? My boys are newly sixteen and a few weeks from fourteen. They both enjoy reading, and while they don’t write much for pleasure any more (boo hoo), they spent many years creating their own stories (we have boxes of stapled “books” — most they created on their own, but some the three of us made together, like some ridiculously funny Choose Your Own Adventure stories). I used the same approach with my boys that I’d adopted in the classroom: If I am enthusiastic about reading and writing, if my boys witness me doing both of these things on my own and experience doing them with me, some of that love has to rub off. We no longer read aloud, but we had many, many, many happy years doing so. Two boys, a book, and a blanket: Nothing is better than that. What are some of your favorite resources in finding good books for your sons? I am lucky that my job tunes me in to all sorts of titles for young readers. But I don’t want parents to feel they have to have a background in children’s literature to find books for their kids. I’m also a little different from some grown ups in that I believe any book that makes a kid excited to read is a good book. That said, if parents are looking for new books that have been well received in the book world, I encourage them to Google lists. Trade reviewers Kirkus and Publisher’s Weekly put out “best of” lists every year, one for picture books, one for middle grade, and another for young adult. Here’s Kirkus’s Best of Middle Grade List for 2016. School Library Journal and Booklist are also great trade review resources and are accessible online. Booklist is the review branch of the American Library Association, which yearly runs the Youth Media Awards (the Newbery, the Caldecott, and numerous others). Simply Google “ALA Notable Books,” and you’ll find tons of excellent reading. Tell us about the books you’ve written so far. My three novels are all works of historical fiction. 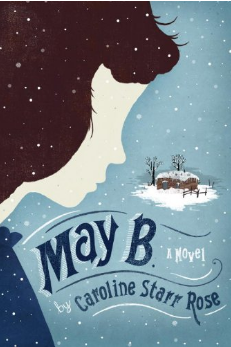 May B. is a survival story set on the Kansas frontier (think Laura Ingalls meets Hatchet). 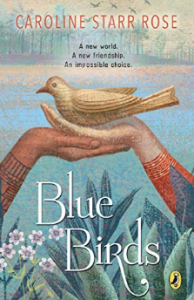 Blue Birds explores the forbidden friendship between two girls — one English and one Roanoke — against the backdrop of England’s first (doomed) colony in the New World, what we now call the Lost Colony. Both books are verse novels. 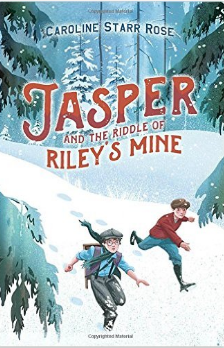 My most recent novel, Jasper in the Riddle of Riley’s Mine takes place during the Klondike Gold Rush. It’s my first novel in prose and the first with a boy protagonist. My literary hero, author Karen Cushman, called Jasper a “rip-roaring adventure and a romping good read” (not that I’ve memorized her words, or anything!). 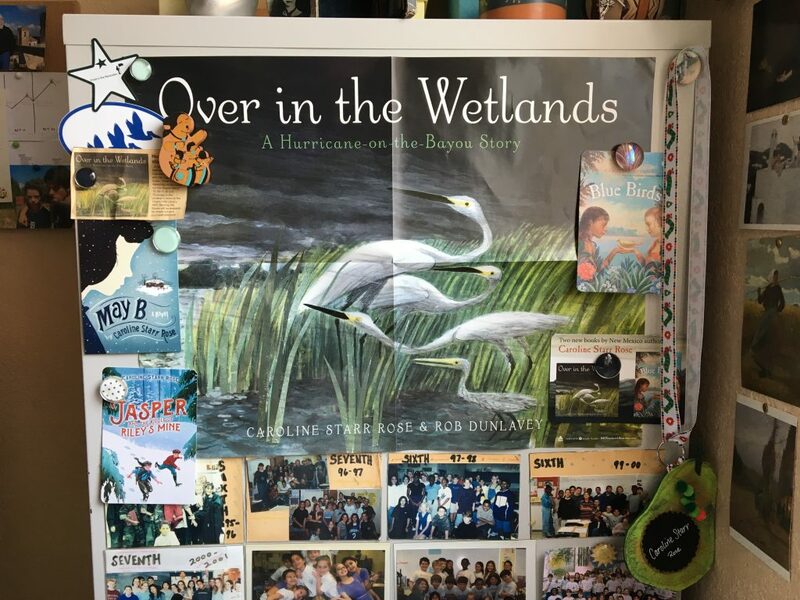 I’ve also published one picture book called Over in the Wetlands: A Hurricane-on-the-Bayou Story, which grew out of our years in Louisiana. Are you working on something specific currently? Can you tell us anything about it? I just turned in my final edits for a picture book I have coming out in October called Ride on, Will Cody! 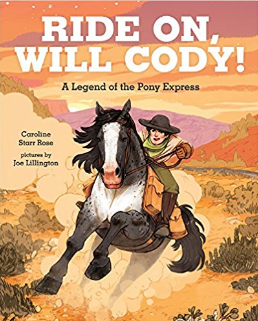 : A Legend of the Pony Express (my picture books seem to have really long titles). I saw the cover art last week, and oh my goodness, it’s wonderful. What’s the best way to stay informed when you come out with something new? 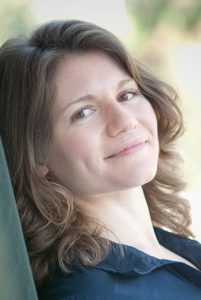 My website (www.carolinestarrrose.com) is a great place to find what I’ve written and what I have coming next. Simply click on the Books tab. I also send out a quarterly-ish newsletter full of book news, the occasional giveaway, and opportunities to read review copies in exchange for an honest review. Readers can sign up for my newsletter here. There are portions of history that are sad, inexplicable, even downright ugly. It was sometimes painful to study the events that happened at Roanoke so many years ago. Our world is a broken place, but I take great comfort in this promise: Someday God will redeem all things. Caroline, I encourage to you keep wrestling with the difficult knowing that until we are truly home, we can see evidence of God’s beautiful redemption reflected back at us through the stories of His people. Please note that I have added Caroline’s historical fiction novels to my 50 state book list. Want to grab your own copy of that free list containing 300+ books organized by the state they are set in? Simply sign up to get my latest blog posts delivered via email. Your free book list will be delivered automatically. To get the most updated version (several new titles have been added) simply email me or download your list again.